Jacqui Baynham has over 25 years’ legal experience and joined TC Young in May 2001. Over the years her role has evolved considerably reflecting her wealth of experience and technical ability. 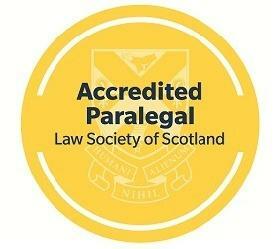 She has further enhanced her knowledge by gaining a Specialist Paralegal Qualification in 2008 through the University of Strathclyde in Company Law. Acting for a variety of organisations (company limited by guarantee/company limited by shares/Scottish charitable incorporated organisations and trusts), she maintains their registers, ensuring that they lodge their annual returns and accounts with Companies House and (if required) the Office of the Scottish Charity Regulator (OSCR) within the required timescales. Jacqui is involved in taking clients through the various processes required to incorporate a new company; amending their articles of association to bring them into line with the current Companies Act 2006; appointment and resignation of directors; and amending accounting reference dates. Heavily involved with the rule change process for Registered Social Landlords (RSLs), she has been working with RSLs who have adopted the latest model. 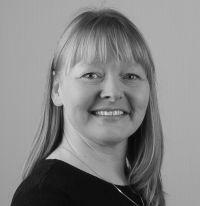 Jacqui is regularly involved in advising clients on compliance issues particularly in connection with the Scottish Housing Regulator, the Scottish Federation of Housing Associations and OSCR. She also regularly advises on charity registration (including the legal structure of Scottish Charitable Incorporated Organisations), charity compliance, charity re-organisation, change of legal form, OSCR annual returns and annual audit requests. More recently Jacqui has also been assisting charitable clients based in England who also wish to register as a charity in Scotland.